The biggest airline company among Baltic countries AirBaltic is planning to provide maintenance services for airplanes Airbus A220-300. 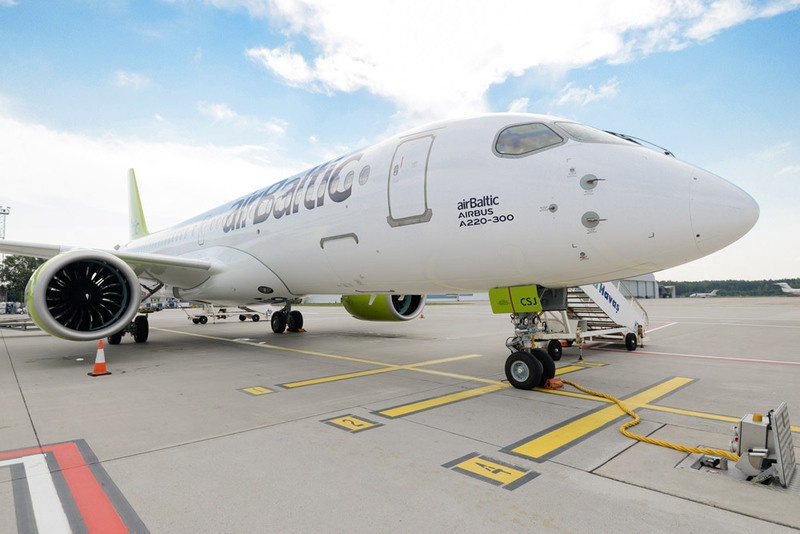 These changes are only the beginning of the new strategy of AirBaltic Company that also includes plans to renew fleet of the airplanes by 2022-2023 by replacing existing airplanes with aircrafts Airbus A220. At present moment AirBaltic possesses 8 Boeing 737-300 and 737-500s, 12 airplanes Bombardier Q400 turboprops and 14 units of Airbus A220-300s. So, the leading Baltic carrier AirBaltic will deal with the base maintenance of the airplanes Airbus A220 and will replace all the airplanes from the fleet with this airplane and will increase the number of the fleet to 80 units. At present moment AirBlatic is making just line maintenance check on all three types of operated aircrafts giving difficult services to outsource. But to autumn 2019 AirBaltic plans to get admission to maintenance of Airbus A220 by C-check form. First maintenance is planned also for autumn and must take place at Riga airport in new hangar that was purchased namely for maintaining airplanes A220 and rented one additional hangar. This hangar may fit three airplanes A220 at once. AirBaltic also plans to provide maintenance services for Airbus A220 airplanes operated by other airline companies: Korean and Swiss Air. That is why company will need more and more facilities and is already negotiating with Riga airport about acquisition of land for building one more hangar.